It was great to see our Colombage fabric and Bon Poms in the latest issue of Style at Home Magazine. Brought to life in this awesome blind by Florence at Window Hang Ups, in the gorgeous home of Becky from The League of Mothers. Fruity designs are all the rage and we are on board. Thanks Home Style Magazine for featuring our Passion Fruit fabric in their August issue. What an AMAZING day at the Mollie Makes Handmade Awards 2018. We were thrilled to have our Hockney Leather Pots nominated for Product of The Year 2018. On a very hot Monday in July I headed up to London, to The Dead Dolls House, Islington, for the awards day. It was amazing to meet the most incredible bunch of fellow creatives and the awesome judges. It’s funny that through the powers of Instagram you feel like you are meeting old friends, when in fact you have never met in real life. It was great to meet the other finalists in my category and chat about making, we had come from far and wide across the country too, so it was a real one off opportunity to get together. Luckily we didn’t have to present to the judges as it was a reader led vote, so we could enjoy a macrame workshop with Peas & Needles, inspirational talks and then a Colour Walk with In Colourful Company after lunch, before the awards presentation at the end of the day. Unfortunately we didn’t win, but huge congratulations to my fellow Winchester School of Art print graduate and West Country creative Little Paisley Designs for winning Product of the Year with her gorgeous hand-drawn temporary tattoos AND providing entertaining company all day. After an incredibly hot journey home and a good sleep I woke thinking, ‘was yesterday a dream? !’ It was such an honor to be nominated after so many people entered and such a special day to be a part of. Check out the Mollie Makes website to learn more about the awards. I was so happy to discover that BON had been featured in the fabulous Emerald Street daily email Mood Board. Read the full article here. We were so thrilled to have our Hockney Velvet fabric featured on a fabulous chair restoration project on BBC 1's Money For Nothing programme. Leigh-Anne and her talented team at Bristol Upholstery Collective took this unloved 'frog' and turned him into a wonderful Prince. Presented by the super talented EJ Osborne of Hatchet & Bear, this transformation really amazed him, commenting how 'fruity and energetic' it looked. Our fabric looked so vibrant and complemented the approach Leigh-Anne took, which was to reveal the bare bones of the chair, creating a quirky asymmetric shape. We loved being part of this transformation and applaud the work of fellow craftsmen and women doing such great work. The episode is available on iPlayer until the 20th April. I was thrilled to be asked to dress the set for the filming of the ‘Back To’ series for the legendary Whispering Bob Harris OBE. The final episode of the series; Back to Bob’s, featured intimate performances by such incredible artists as The Wandering Hearts, Bear’s Den, David Gray and Newton Faulkner, to name but a few. When I found out about the event I immediately got in touch with my super talented lampshade designer friend Alice, at BeauVamp. It was great to work with Alice again after we collaborated back in 2013. Alice created a stunning shade that featured our Hockney velvet fabric and a seriously Bon two tone tassel fringe. There was no doubt this shade was the star of the show! Our cushions, concrete pots and leather pots were styled across the stunning venue at Lains Barn, near Oxford, with a healthy dose of neon candles to complement. The artists and guests enjoyed a lovely brunch and tea in the gorgeous sun drenched gardens. We couldn’t have had a better day and look forward to the episode airing on the BBC later this year. Thanks to Mollie Makes Magazine for featuring our concrete pots on their 'Get the look' page in issue 80. We're loving all the other creations on this spread too. GOING POTTY - Totally thrilled to have our concrete pots picked alongside the likes of such great brands as West Elm and Ferm Living, for this feature in The Metro. We were thrilled to get our concrete pots featured in a great printed piece called ‘GIFTED.’. It’s an editorial-led magazine featuring gifting inspiration, new trends and NOTHS Partner content. Our pots featured in the June edition, as a great way to say thank you to your teachers at the end of term. Read the whole issue here. We were thrilled that our concrete pots were featured in The Telegraph - Lifestyle/Interiors 'The best outdoor accessories'. Read the full article here. It was great that our concrete pots were in the Not On The High Street Easter email, they proved very popular this Easter. September 17th marked the opening of our collaborative pop up studio with fellow Designer, Jo Norman, for Somerset Open Studios 2016. Style at Home featured our 'Jo Jo Neon' studio on their blog. Read all about our neon emporium adventures here. 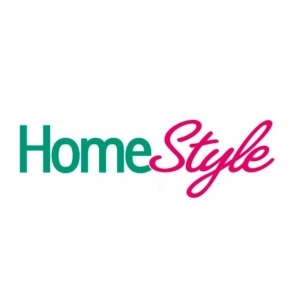 Bon officially took over the March issue of Style at Home Magazine, with a huge feature at home with Jody. The article showcases the unique Bon style as well as handy tips on how to create the look yourself. It was great to find our Colombage cushion featured in the Living section of Red Magazine. Having always shared a love of neon brights, creativity and interior styling, together myself and fellow neon friend Jo Norman (of Somerset Creative), decided to team up and collaborate under the name 'Jo Jo Neon' and take part in Somerset Open Studios. Jo Norman, art teacher and designer, had been wanting to head back to her creative roots producing neon silk screen prints and accessories depicting linear observations of the ordinary. Over the past few months we would meet for creative chats and brainstorming sessions before deciding how to create our collaborative neon accented design debut for Somerset Open Studios. The idea being this would mark the start of our creative partnership as Jo Jo Neon. With an emphasis on neon art pieces and interior accessories, Jo Jo Neon offers a fresh and affordable lifestyle look. In addition to our neon emporium, we offered silkscreen printing workshops and pom pom making sessions for children and adults alike. Somerset Open Studios was a great event to be part. Thank you to everyone who came along and supported us. Watch this space....the word is on the street there might be a Jo Jo Neon Noël this year! Florence from our latest stockists - Window Hang ups, have an ethos to support uk brands and brands they love and believe in, so we were delighted when Florence wanted to work with BON. In this blog feature, Window Hang ups get to know the lady behind BON and asked me a few questions. You can read the full blog post here. It was great to have a mention in this fabulous new book about handmade lampshade designers. Our images and collaboration with BeauVamp were mentioned on the lovely feature about Alice and her work. It was great to spot the old BON HQ in the 'Get More' section of the August issue of Style at Home Magazine. Inspiring readers to use neon hues in a kitchen-diner. I was delighted to be featured on the Designer Insights blog on Terry's Fabric. I offered my top design choices for the season and also gave an insight into the world of Bon. Read the feature here. When young fabric design house Bon met traditional upholsterer's Hana and George, the chance to create a dynamic new partnership was too good to miss. Chaise Bon sourced two, beautiful, mid-century Howard Keith chairs and then lovingly restored them, combining Bon's striking 'Copenhagen' fabric on one chair, with a gorgeous herringbone merino wool on the other, both linked with orange piping and buttons. We were very lucky to have a great write up in the September issue of ETC Hampshire Magazine. "My kind of town" is a new feature for the Sainbury's Magazine and we were delighted to be a part of it. You can read all about why Winchester is a great place for a creative business to be based. This month Love Patchwork & Quilting Magazine includes this lovely feature just in time for Christmas. It was lovely to have our Jo Jo Neon Open Studio for Somerset Open Studios 2016 featured by the Blackmore Vale Magazine. It was a great event and the perfect opportunity to meet lots of new faces at our studio with Somerset Creative. We were lucky enough to have our Bon buttons featured in Let's Knit Magazine's '3 of the best handmade buttons' in their February issue. Thanks to Hampshire Life Magazine for the feature in their August issue. From Barbie houses to neon fabrics, read all about it here. Introducing an exciting new collaboration between fabric lighting specialist BeauVamp and textile design house BON. After recently discovering each other’s passion for brightly coloured textiles, Alice and Jody decided to get together and produce a new patchwork lampshade design using a selection of Jody’s bold, hand drawn prints. This week, the result of their meeting has led to the completion of their collaboration project - BON VAMP! We were thrilled to have our BonVamp collaboration featured in the August issue of Period Homes and Interiors magazine. Our products also received the prized accolade of 'PH&I Loves' choice item of the month. BON had the exciting opportunity to have some of our prints featured on a selection of lampshades in the Marketing Suite for Linden Homes at Graylingwell Park, Chichester. We were so thrilled with the results, we are now going to offer lampshades as part of our product range. I was lucky enough to be asked back to my old school, Bruton School for Girls, to take part in their ‘old girls’ display for Somerset Arts Week 2013. Somerset Arts Week is a great two week event where a large variety of Artists and studios from across the county open their doors to the public. Somerset is an ever growing centre for Art and there are some really exciting Artists and studios to be found here. The show received lots of positive feedback and some great reviews in the local press. I was delighted to be asked back to my old school, Bruton School for Girls, to take a fabric printing workshop with the 1st forms as part of the School's Arts Week. A great day was had by all and the girls produced some amazing fabrics which will now be used as part of their fashion show in the summer.